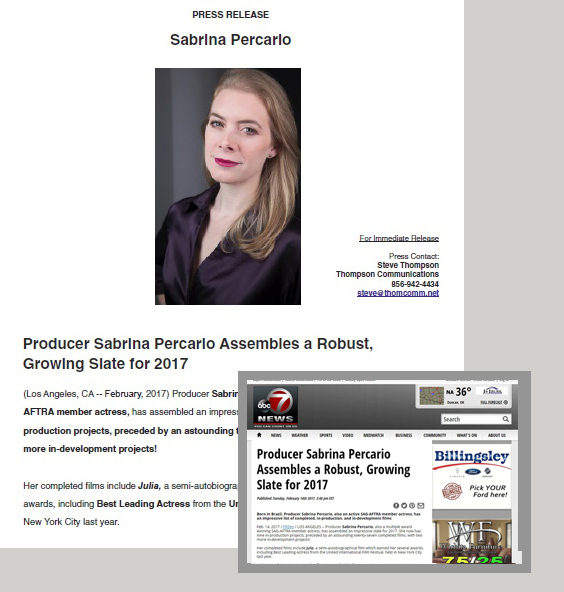 "To qualify for an O-1 Visa in the motion picture or television industry, the beneficiary must demonstrate extraordinary achievement evidenced by a degree of skill and recognition significantly above that ordinarily encountered to the extent the person is recognized as outstanding, notable or leading in the motion picture and/or television field." If your attorney has told you that you need to generate publicity for your 0-1 Visa application, I can help you. I have helped several young film industry professionals, and I want to help you! It will build your credibility and reach other industry professionals who can help you in a number of ways. Contact me directly for full information!